Getting out and volunteering in the community is something that we do regularly. 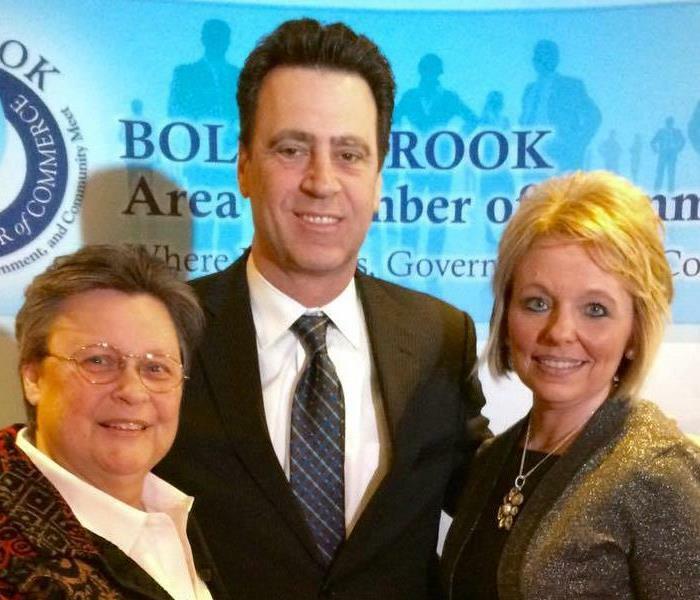 Pictured is Mary Gorick of Embroidme in Bolingbrook IL, Mike Toomey from WGN News and our very own Cindy Massaro, SERVPRO of Woodridge/Bolingbrook on the Red Carpet at the Best of Bolingbrook Business Awards. Pictured, Cindy Massaro, working the SERVPRO of Woodridge/Bolingbrooks table at the Woodridge Golf Outing. This year our theme was preparedness- making sure all golfers had access to sunscreen, SERVPRO Lip Balm, bug spray, water, snacks, practice balls, SERVPRO divot tools etc. BBQ for all afterward! 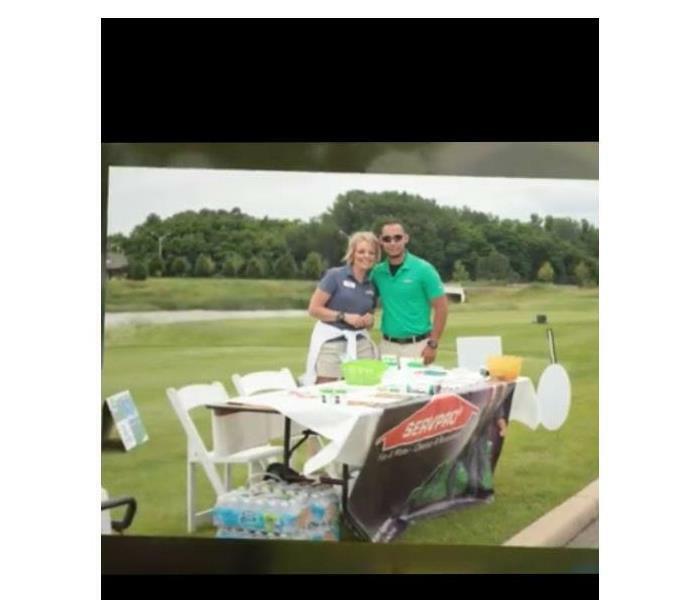 Pictured here are Anibal Gonzalez, Production Manager, and Cindy Massaro, Marketing Manager of SERVPRO of Woodridge Bolingbrook having a little fun on the golf course for Bolingbrook's Annual Golf Outing. Fun is always had by all at events like these! We are always getting the word out about SERVPRO of Woodridge/Bolingbrook. Besides restoration services, we at SERVPRO of Woodridge/Bolingbrook help out in the community. We guide new business members and make them feel welcome in our community. Pictured is our Marketing Manager, Cindy Massaro, presenting a new business owner with the Bolingbrook Chamber's plaque and Buck for Luck to wish them well.